INTERMED NV is the publisher of a new book, with the title: "Fight Flight Fright", written by Dr. Marcel Verheyen. How to keep your feet on the ground whilst off the ground? Every year, more than two billion people take the plane... of which 30% would love to see their anxieties pinned down. Does it sound familiar? You don’t need to suffer alone anymore. 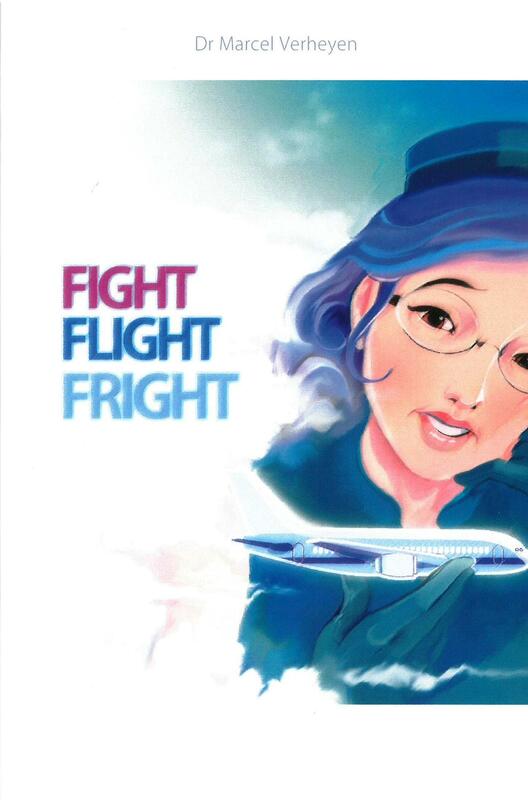 "Fight Flight Fright!" from Dr. Verheyen is there to help you. Not only will this book stop you from becoming anxious but it is also specifically designed to help you during anxiety attacks. As a good practical guide, "Fight Flight Fright!" avoids all the clichés of the genre, both in content and in form. The easy-to-understand graphics and playful designs deliver a soothing message, a return to calm and serenity. The comfort and remedies offered are written in a handy pocket size guide. It allows you to sneak it discreetly into your bag to be taken everywhere with you and to support you during every flight. Also available in French (Même pas peur de l’avion!) and Dutch (Vliegen zonder angst).